I started a new project last night. 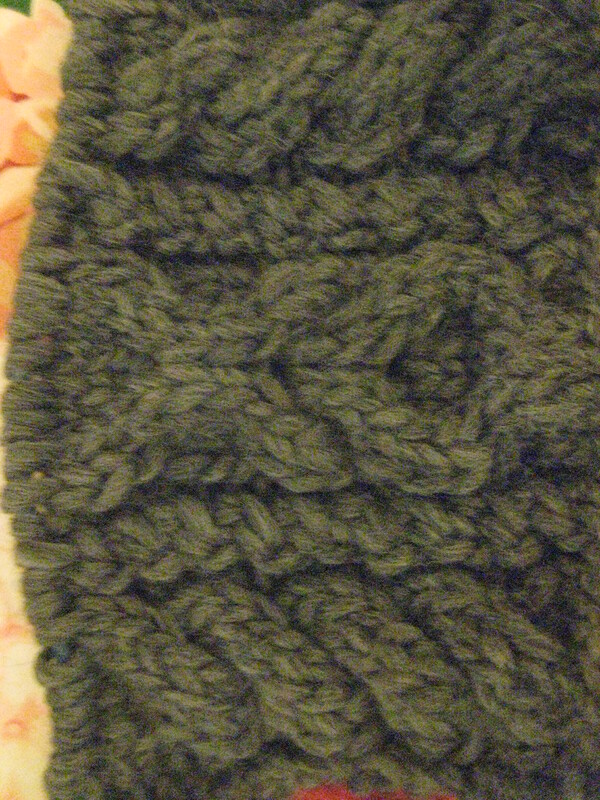 The “Munchkin Boq” sweater … chunky cables for my little boy. This is a new design using the Aran cables that I love so much. The idea for an Irish knit little dog sweater to add to the Prima Dogma line that I’m designing came to me the other day. I’m using some stashed wool for the first iteration and will find some lovely pure wool for the next ones made. When there’s enough for you to see, I’ll post photos. It feels good to be knitting! Here’s the progress to date! This entry was posted in Knitting and tagged Aran, cables, designing, designs, feels good, Irish, knitting, new, original by lindarockwell3. Bookmark the permalink.